It cost $20 million to evict the last four tenants of a Manhattan apartment building to renovate it. The last tenant was so stubborn and savvy that he received $17 million of the money, plus use of a $2 million condo for life. 2. The September 11 terror attacks on the WTC released a dust cloud of toxic asbestos fibers across Manhattan. An estimated 410,000 people have been exposed. It is believed lung cancer and mesothelioma cases in the city will reach a peak in the year 2041. 3. 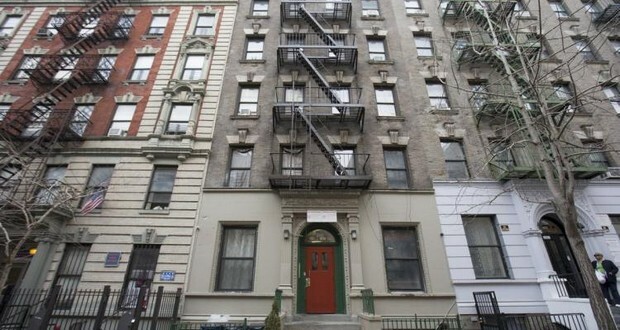 Until World War 2, almost everyone who rented an apartment in New York city had to move on the same day every year. 4. A doctor in the Bronx named Dr. Michael Skelly was fired at the height of the 2015 Legionnaires outbreak for testing the water in patients' homes. 5. Howard Stern ran for Governor of New York in 1994 promising to limit road work to night hours. He eventually withdrew, but later that year, The Howard Stern Bill was signed into law which limited road construction in New York City and Long Island to night hours. There’s a man named Raffi Stepanian in New York City who mines sidewalk cracks for gold. He can make over $600 a week. 7. New York City's sewer system experienced a 6.7 million gallon hike after the series finale of *M-A-S-H*. It's estimated one million citizens held it in till the ending. 8. There is an abandoned subway station under City Hall in New York that no train stops at but you can see it in passing if you take the number 6 train. 9. There is a New York City hot dog vendor who pays $289,000/year for his location. 10. There were no reports of violent crime in all of New York City on November 26, 2012. This is the first time this was known to have happened. 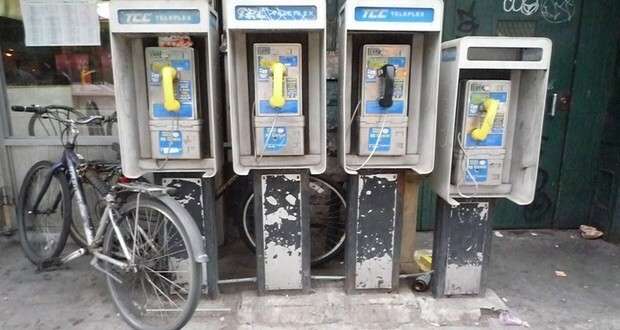 New York City plans to turn all of its old phone booths into wifi hotspots. 12. During the 1977 New York blackout, a number of looters stole DJ equipment from electronics stores and as a result, the hip-hop genre, barely known outside of the Bronx at the time, grew at an astounding rate from 1977 onward. 13. Henryk Siwiak was fatally shot on 9/11 and because the deaths from the terror attacks are not included in the city's official crime statistics, Siwiak's death is the only homicide recorded in New York City on that date. 14. After the Empire State Building opened in New York City in 1931, much of its office space went unrented. It was nicknamed the "Empty State Building" by New Yorkers and didn't become profitable until 1950. There is a 550-foot skyscraper (33 Thomas Street) in New York City with no windows. It was built to withstand the fallout of a nuclear blast for up to 2 weeks. 17. Chinese mathematician Yitang Zhang could not get an academic job upon graduating, having to work as an accountant and a delivery worker for a New York City restaurant. He later went on to solve a math problem that had been unsolved for 150 years and won a MacArthur Genius Grant. 18. The famous New York City tourist attraction, Wall Street's Charging Bull, cost $360,000 to build, was placed illegally in the middle of the night in 1989 after a stock market crash, was impounded, only to be returned to the streets due to public outcry. 19. The population density of Manhattan is much lower today than it was 100 years ago, and total population has fallen by about 25%. 20. 7 schools (Walton High School) in New York City look exactly the same, apparently because they only had money for 1 set of blueprints. On 9/11, when all transport out of the city was shut down, citizen boat owners managed to transport over 500,000 people from Manhattan Island in an amazing act known as the "9/11 Boatlift". 22. Decommissioned New York City Subway cars are dumped into the ocean to provide homes for sea creatures. 23. If the Native Americans really did sell Manhattan to the European for $16 in the 1600s and had invested that $16 at annual interest rates of 8%, today that $16 would be worth enough for them to buy back all of Manhattan and still have $222 Trillion dollars left over. 24. In 2012, a man named David Villalobos intentionally jumped off of the monorail at the Bronx Zoo into the tiger exhibit, to be 'one with the tiger'. He survived, and when the police asked him why he did it he replied: "everyone in life makes choices". 25. The current heir to the former Ottoman Empire, Bayezid Osman, is a US citizen, World War 2 Veteran, and lives in New York City where he worked as a librarian before retiring.